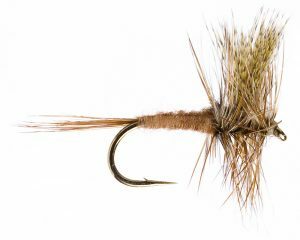 So, I’m writing about March Browns not because they are necessarily of great significance to the Smoky Mountain fly fisherman, but mainly because they’re just really cool bugs! Like many aquatic insects in the Smokies, this mayfly does not usually hatch abundantly enough to really get the trout keyed in on them. 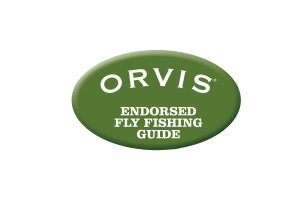 But it is worth keeping a few in your fly box. In other words, you probably don’t need fifteen different March Brown patterns in subtly different colors, but having a few of a basic pattern isn’t a bad idea. Because March Browns are big, they tend to get a little more attention from trout. They are usually a #12 or #10 hook size, and they tend to be the first mayfly of the year with any color. Most of your early spring mayflies are some version of grey, because they need to blend in with the bare trees and vegetation. But March Browns usually have a light, reddish brown body with handsomely mottled wings of brown, tan and even yellow hues. 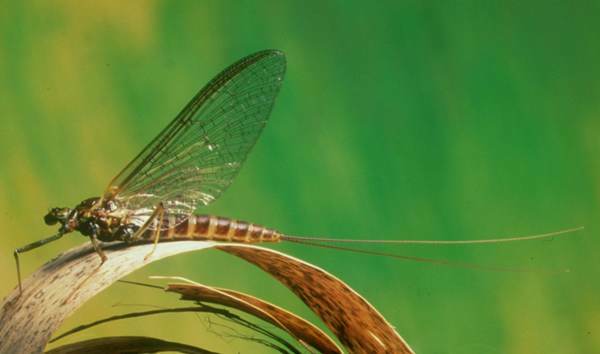 Despite what their name might imply, these mayflies don’t hatch in March. Rather, they tend to show up, at least in the Smokies, around the third week of April and hang around for the first half of May. The nymphs are probably the most important stage for Smoky Mountain fishermen. Because they have flat clingy bodies with muscular legs, they are very strong crawlers. But when they lose their footing, they are terrible swimmers and easy pickins for a waiting trout. The nymphs tend to inhabit moderate to fast riffles and vary in color from tan to reddish brown to dark brown. So, a Hare’s Ear Nymph or Pheasant Tail Nymph are both good generic imitations. 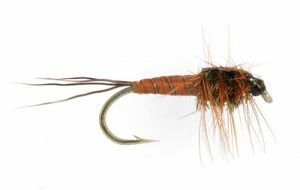 I’ve also included one of my favorite patterns designed to specifically imitate a March Brown nymph. Nymphing these patterns should be fairly effective all day but particularly early in the morning. Expect to see the adults hatching from late morning to early afternoon with a spinner fall near dusk.